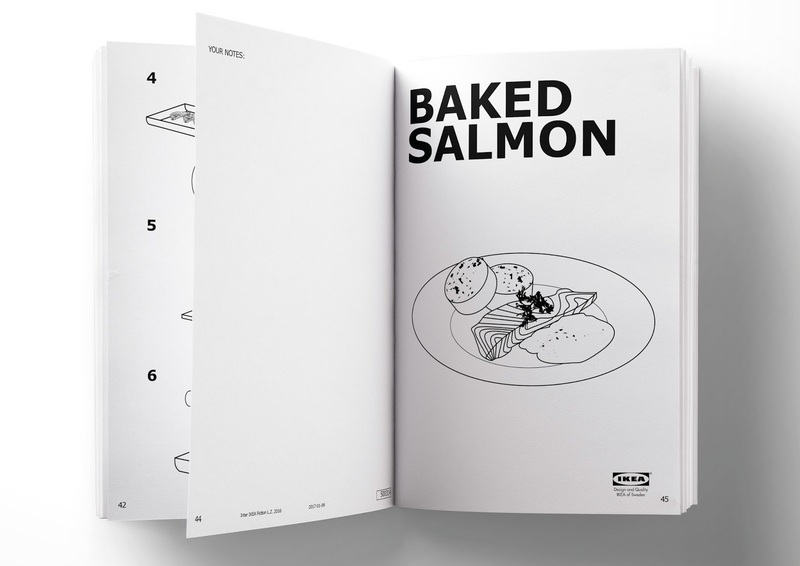 This cookbook is made for a school project. 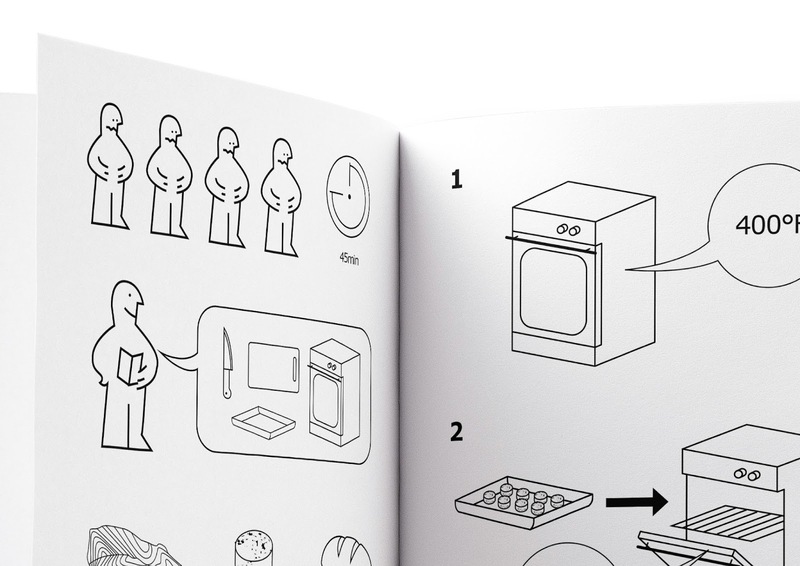 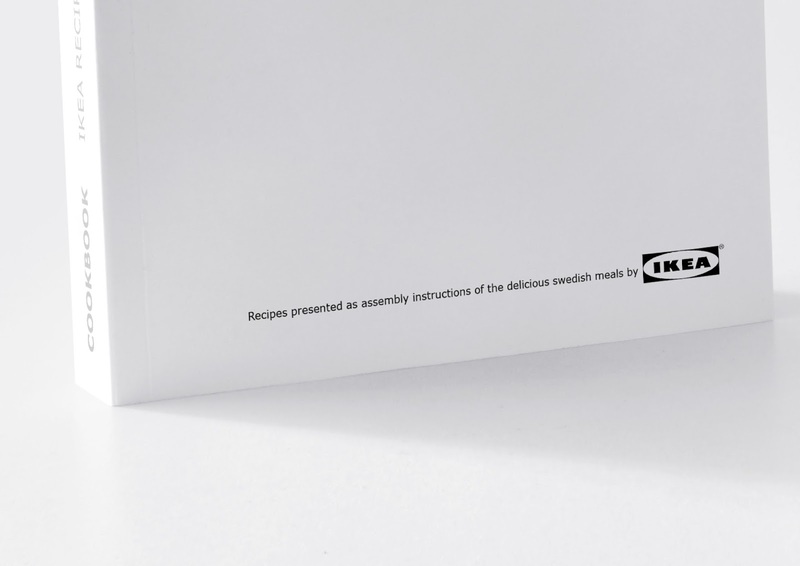 As I went through countless IKEA assembly instruction manuals I realized that everything can be explained with this visual communication. 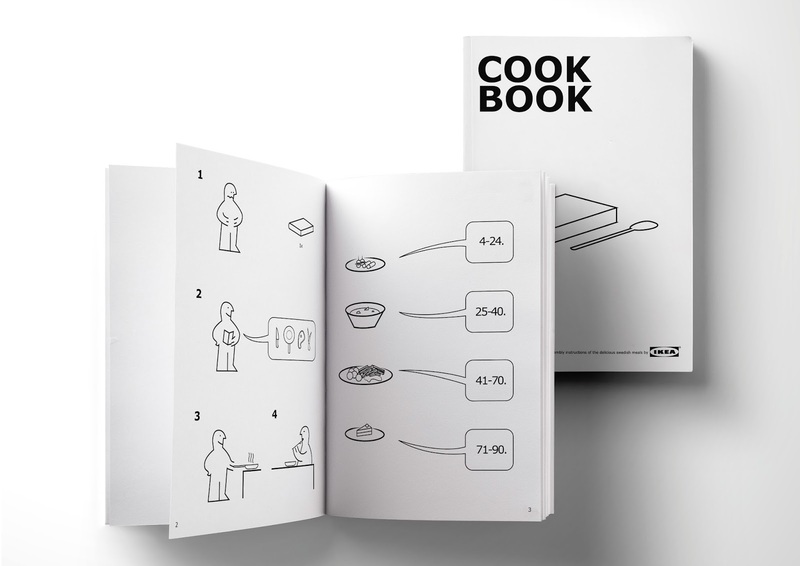 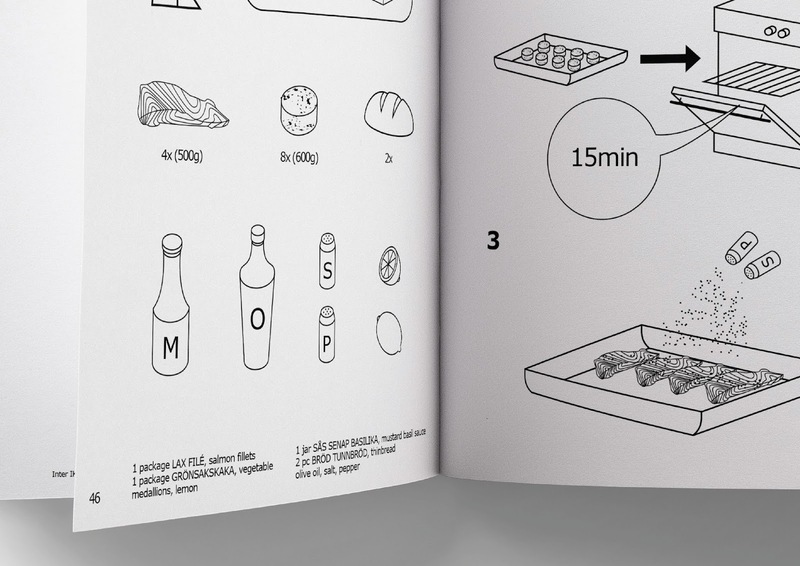 Our task was to create a unique cookbook, so I chose IKEA's famous kitchen and created this layout plan for it's traditional Swedish meals. 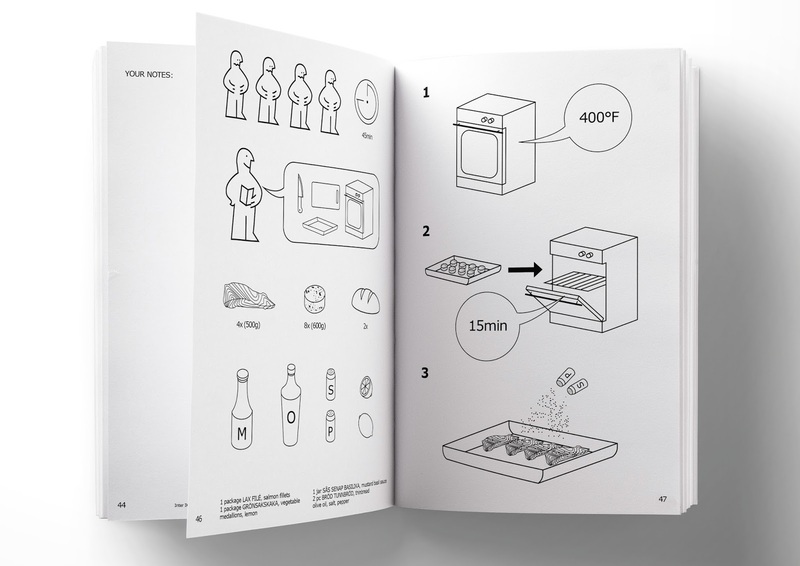 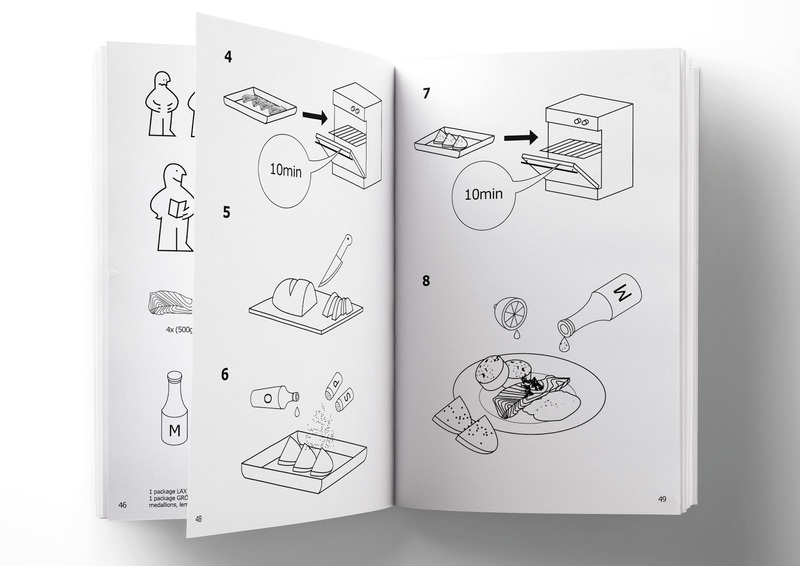 There is a manual for the book itself, as this is also a product, so I used the characters and style which is well known from IKEA's assembly instructions. 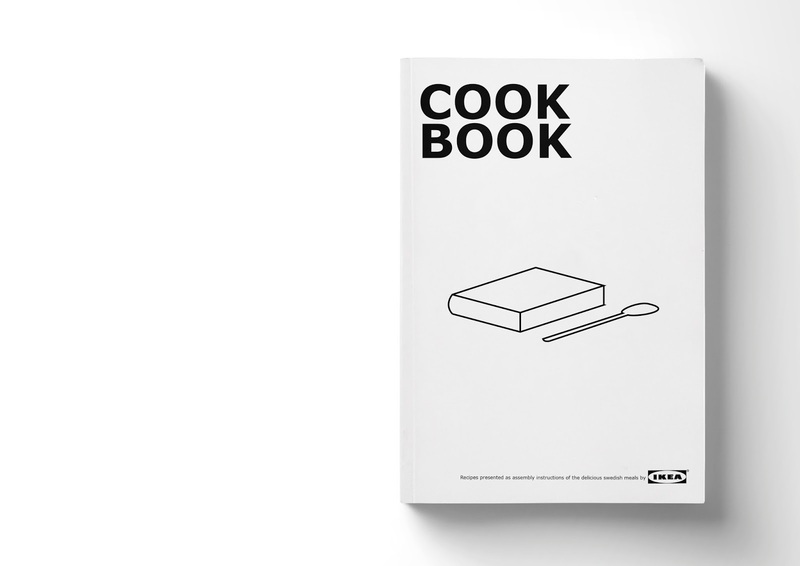 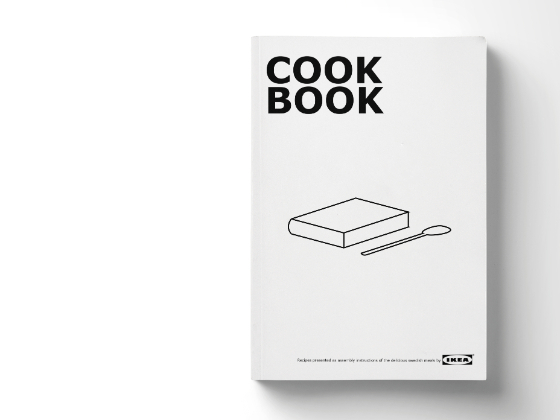 First you get hungry, then you take the cookbook, follow the recipe and have a nice meal. 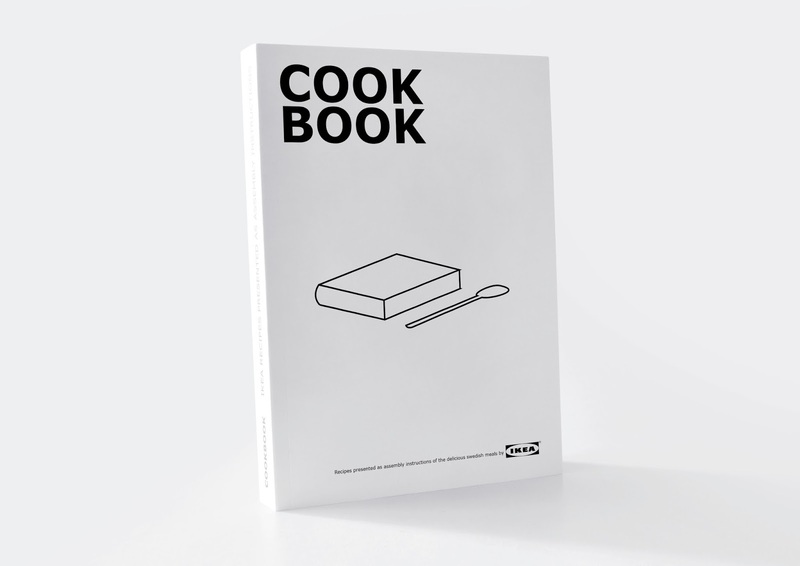 The same follows for every recipe presented in the book. 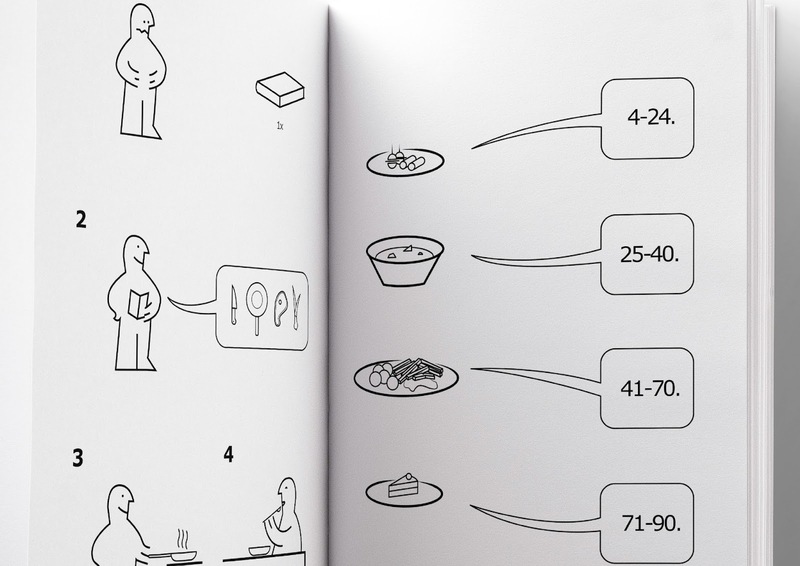 With this visual system it can be explained how many are you cooking for, what do you need to use and how long would it take.